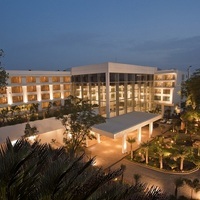 Could you tell us hotels in Hyderabad that provides 24 hours check-in check-out facility? 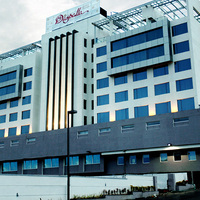 There are many hotels in Hyderabad that offer 24 hour checkin facility. 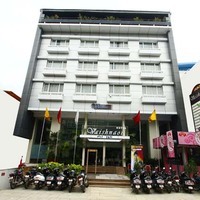 Some luxury hotels in city that offer 24 hour check in are Hotel Woodbridge Grand, Hotel Pearl Regency, and Margi a Boutique Hotel.You could also try these budget hotels Hotel Nakshatra Inn, Hotel Euro Park, and EzyStay Service Apartments that offer this facility. Suggest us few good hotels in Hyderabad that provide wifi. 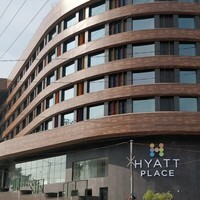 These days Wi-Fi is part of basic facility that most hotels in Hyderabad offer. 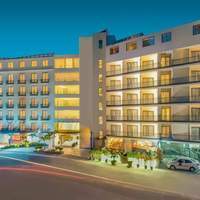 These budget hotels in city offer free Wi-Fi service Treebo Arihant Kachiguda, Treebo Srico Banjara Hills, and Treebo Sravya Residency Hi-Tech Gachibowli. I'm looking for hotels in Hyderabad with swimming pool. Please suggest. 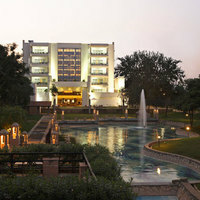 All the four and five-star hotels in Hyderabad have a well-maintained swimming pool. 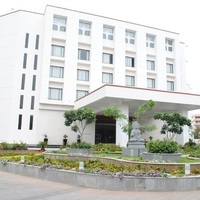 Hotel Angel Park, Hill View Guest House Gachibowli, and Alpine Glow Residency-Sunrise are some budget hotels in city that also have swimming pool. 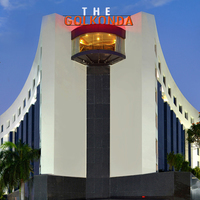 Could you suggest us few hotels in Hyderabad that has free parking facility? 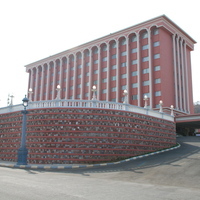 There are few hotels in Hyderabad that provides free parking facility Luminous One Continent, United 21, and Kubeera Palace Himayathnagar. 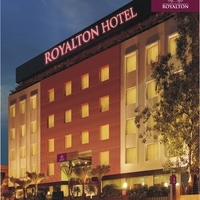 Can you suggest us hotels in Hyderabad that offers rooms under Rs. 1700/-? 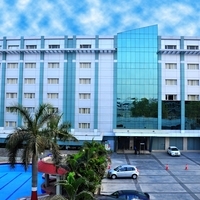 There are many hotels in Hyderabad that offers hotels under Rs. 1700/-. 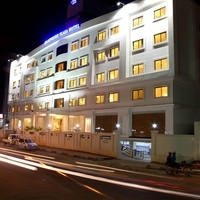 For best options you can check Hotel Sandhya, Treebo Tals Hytek Hi-Tech City, and Treebo Arihant Kachiguda under 1700/-. 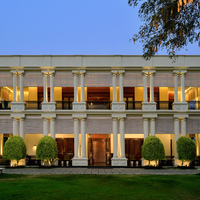 Can you suggest me hotels that have pay@hotel options in Hyderabad? 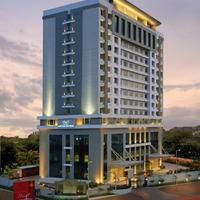 Most hotels in Hyderabad prefer that you pay some advance to book a room. 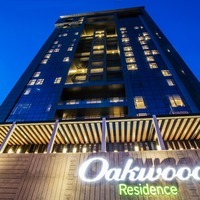 However, there are some hotels that give you an option to pay@hotel like Park Hyatt, Oakwood Residence Kapil, and Lemon Tree Premier HITEC City. Please suggest me 5 star hotels in Hyderabad. 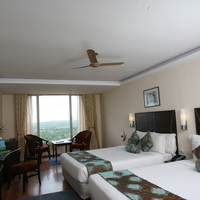 There are a lot of options for comfortable stay in Hyderabad. 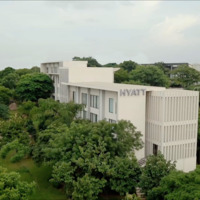 Check this hotels for comfortable stay Novotel Hyderabad Airport, The Park Hyderabad, and The Westin Hyderabad Mindspace. 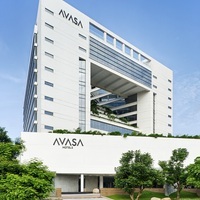 Can you suggest few hotels with good front desk facility in Hyderabad? 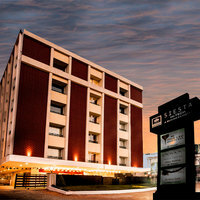 Yes, there are a lot of hotels in Hyderabad that has good front desk service available. 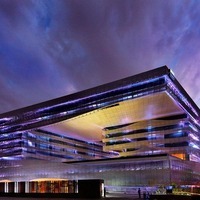 Check this hotels Novotel Hyderabad Airport, The Park Hyderabad, and The Westin Hyderabad Mindspace.